[Miami : Dennis McMillan. 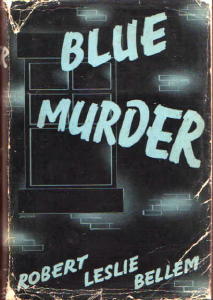 First paperback edition, October 1987. Soft Cover. 158 p. Part of the Classic Hard-Boiled Detective Series. Introduction by Bill Pronzini. Originally published in 1938 by Phoenix Press]. 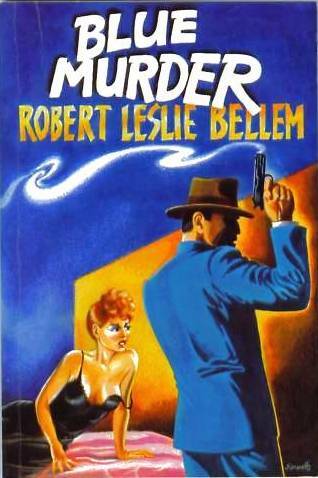 Bellem was the author of over 3,000 pulp stories, many of them featuring the ribald, wacky adventures of "private skulk" Dan Turner. 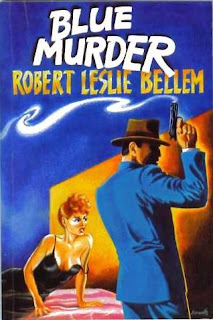 Blue Murder features terrific retro-style cover art by Joe Servello of tough guy with smoking gun and sweaty redhead in low cut gown. 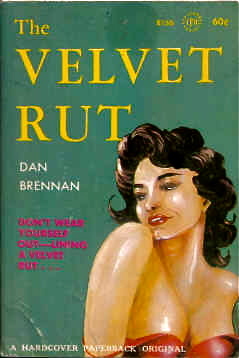 The portrait of the sultry femme fatale recalls Cloutier's oily cover art for Dan Brennan's The Velvet Rut, which similarly depicts a languorous brunette veritably dripping in sleaze.